Hello Summer! If you're looking for me, you'll likely find me in a simple dress, a romper, or a fun shorts and top combo! This outfit was the latter and it was perfect for church and out to lunch. 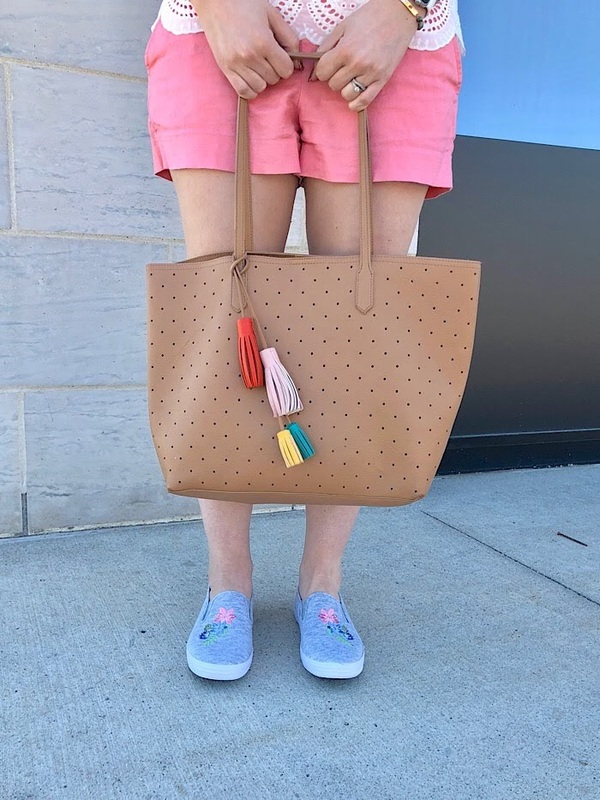 To make simple summer outfits fun, I always like to add some subtle details. The embroidery on these sneakers are perfect. They tie parts of the outfit together. 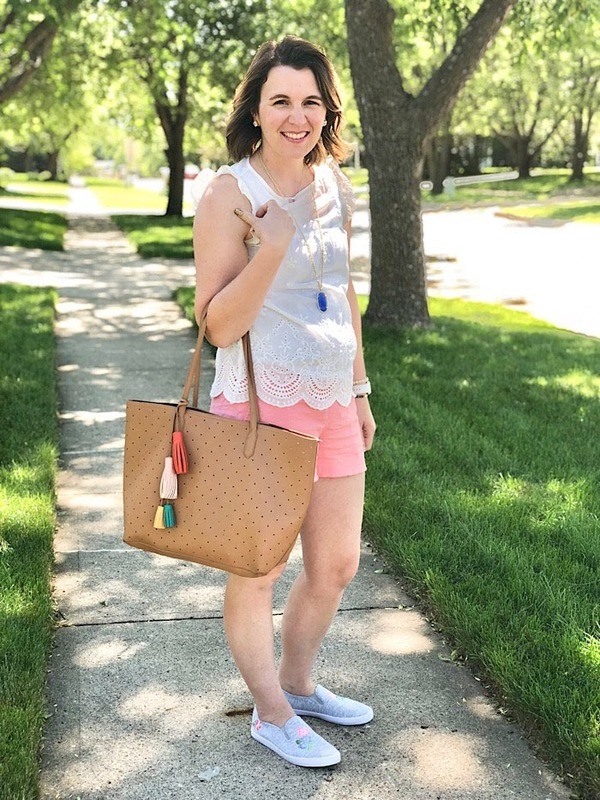 I was inspired by them to pull together the colors from the shorts and my blue necklace. I will admit that this top isn't an easy piece for me to wear. 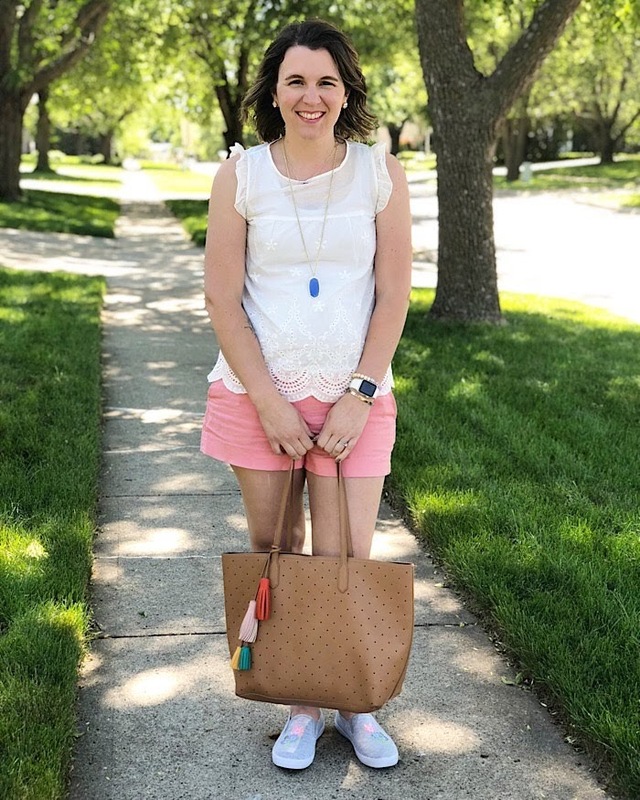 White clothes and motherhood don't usually mix well, but I just loved it too much not to try. It made it though church and brunch without a stain, so I will call that a win. 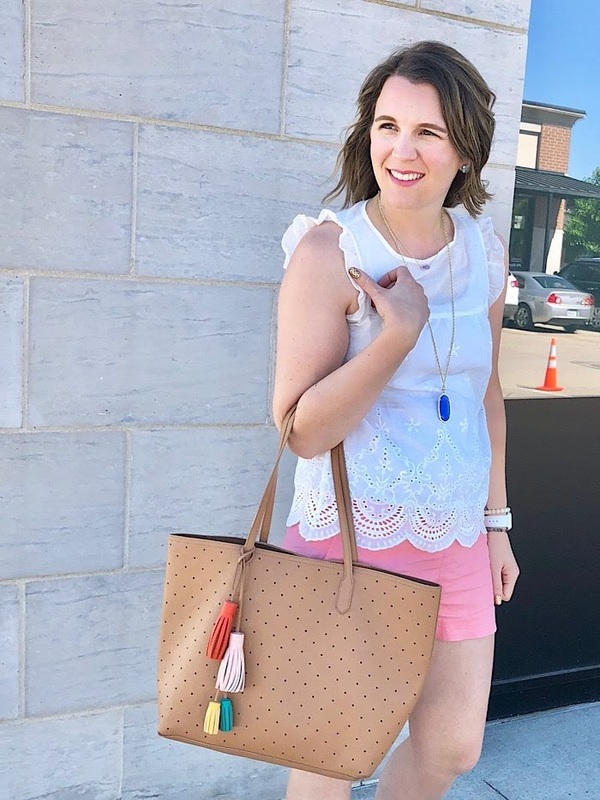 I could see myself wearing this top when we head to Mexico (just Russ and me) later this summer, out for a girls night, or to wear to work in the late summer/early fall. The tote is from last season and it will be a staple until it wears out. It's perfect for our summer when I don't carry a diaper bag anymore but need something to haul around the extras that come with young kids. What are you up to this week? 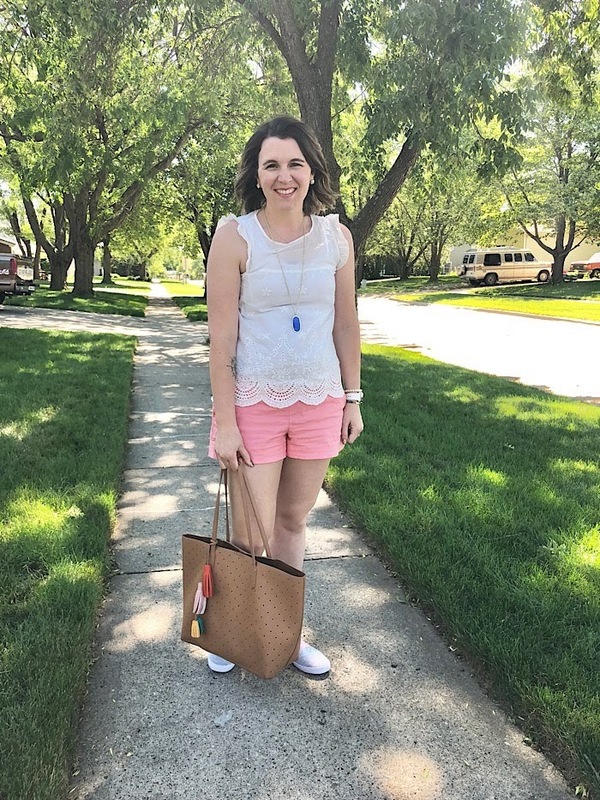 What's your favorite summer style?